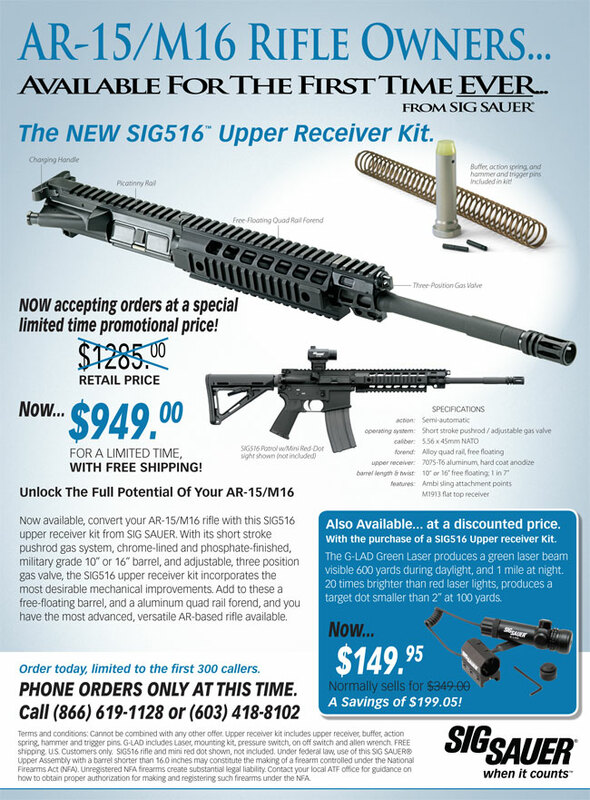 On the coat tails of Ruger's announcement to offer their SR-556 Uppers for individual sale; Sig Sauer is doing the same with their piston driven upper. Thanks for the info Gunmart! Any one know why the trigger pins are included?